The striker will now miss the Premiership fixtures against Dundee United and Aberdeen. St Johnstone have accepted the two-match ban handed to Brian Graham for diving in Saturday's 1-0 win over Inverness CT. 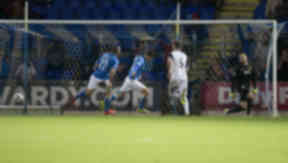 The striker was handed a Notice of Complaint by the Scottish FA's compliance offer after diving to win a penalty against the Caley Jags. 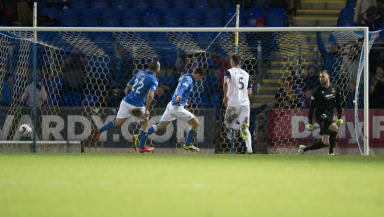 Referee Brian Colvin pointed to the spot after Graham went down under a challenge from Inverness goalkeeper Dean Brill. The Perth club has now accepted the two-game suspension offered to the attacker was offered, meaning that Graham will now miss games against Jackie McNamara's men as well as the clash with Aberdeen. Under the terms of his loan deal from the Tannadice club, Graham was unable to face United on December 27 regardless of the suspension. Saints have accepted the two match ban offered by the @ScottishFA Compliance Officer to Brian Graham.